Are you holding your breath just waiting for the market to fall? If so, you're not alone. Many investors seem to be waiting for the other shoe to drop. That seems logical: After all, today's bull market has been running for more than eight years, and bull markets don't last forever. But is it really logical to think that way? Bull markets don't die of old age. They die from other causes, such as rising inflation or a recession. As of today, inflation is in check and most economy watchers say they see no signs of trouble. Making it far more difficult to decide what, if anything, to do with your investment portfolio are the many cognitive biases that plague us all. One such bias, however, can be especially dangerous in a stock market environment such as the one we're in right now. Think about your portfolio. You probably have several investments that have done very well in recent years. And, if you're well diversified, you may have some that have lost value. Are you thinking about "taking profits" by selling some of your winners? 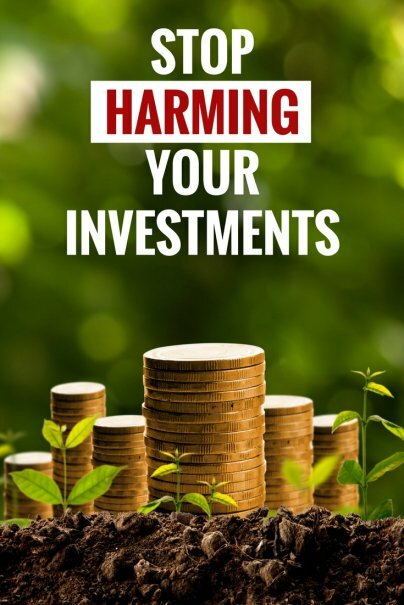 At the same time, are you planning to hang onto those investments that haven't done so well? Perhaps it would be too painful to sell. And besides, they're bound to come back eventually, right? Be careful. You may be under the spell of what behavioral scientists call the disposition effect. That's the tendency to sell winning investments too soon and keep losing investments too long. The disposition effect has much to do with a foundational behavioral bias first identified by researchers Daniel Kahneman and Amos Tversky. It theorizes that losses — whether in the stock market, real estate, or other domains — have far more emotional impact on us than equivalent gains. Objectively speaking, it's been well documented that the recent past performance of an investment — its momentum — tends to persist. We'd be better off keeping our winners longer and selling our losers sooner. But we are not objective beings. For most of us, in the daily battle between facts and feelings, the truth seldom gets in the way of a bad decision. So strong is our subjective, irrational desire to avoid the pain of regret — in this case, the regret of having made a losing investment in the first place — that we tend to keep poorly-performing investments longer than we should. Hersh Shefrin, one of the behavioral finance experts who identified the disposition effect, described it as a "predisposition toward get-evenitis." Rather than cutting our losses, we tend to hang on in the hope of at least getting back to even. Telling yourself to stop trying to avoid the pain of regret is about as effective as telling yourself not to think about an elephant. But that doesn't mean you're destined to spend your life fighting the disposition effect. Three steps can help. First and foremost, don't make investment buy/sell decisions on your own. Find and follow a proven, objective, rules-based investment selection process. That may mean working with an experienced investment adviser, using a target-date fund that's designed according to your optimal asset allocation, or subscribing to an investment newsletter with a solid track record. Lastly, create a written investment plan. It should identify your investment goals and time frames, the strategy you're using to accomplish them, the process you're following for choosing specific investments, and perhaps most importantly, what you are committed to doing (or not doing) under various market conditions. Then review it anytime market conditions tempt you to veer from your plan.